Radio Dukagjini is an online radio station, part of the Corporate Dukagjini, broadcast with the first broadcasts in 1999, presenting itself as a local radio in the Albanian language. Today it is much more than this. Radio Dukagjini has, in fact, become an important private commercial radio operating 24 hours a day, broadcasting from two different studios in Kosovo, one based in Peja and the other based in Prishtina. Thanks to the hard and tireless work of the president and owner Ekrem Luka, "Dukagjini" has quickly become one of the most important carriers of economic development in the area. And the "Dukagjini" company growth, thanks to the approach to other communication sectors such as television and publishing, represents an important step for the economic development of Kosovo. 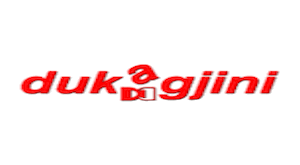 Radio Dukagjini thanks to the website and the online streaming platform is accessible to everyone directly from the web, in a simple, practical and fast.